Thank you for investing your valuable time and resources by volunteering with the Stonehill College Fund. You are part of a community of volunteers whose meaningful involvement is positioning Stonehill for continued success and excellence in education. 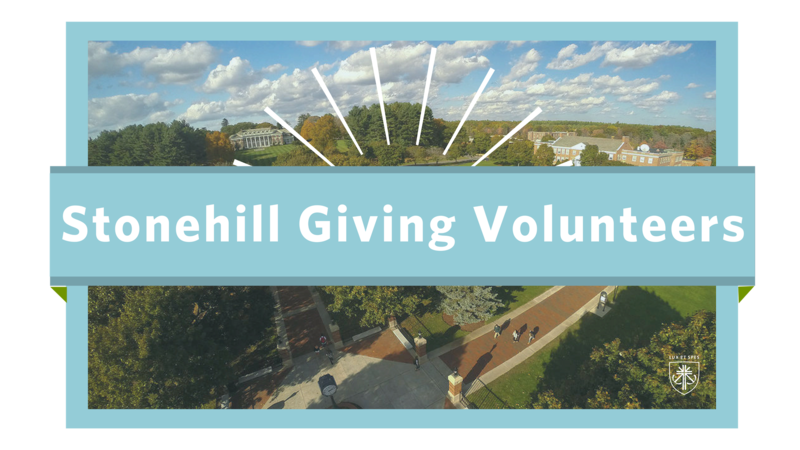 The Stonehill Giving Volunteers share the importance of giving back to the College with their peers and how it makes a profound difference in the lives of Stonehill students. Class-by-Class Progress - Click here to view! Comparison report of dollars and donors by class for FY18 and FY19 - Click here to view! Learn more about current events and news stories from Stonehill. Visit this online alumni community to make a gift, register for events and reconnect with classmates. Click here to make a gift so you can join us in saying "Hill yeah I gave!" 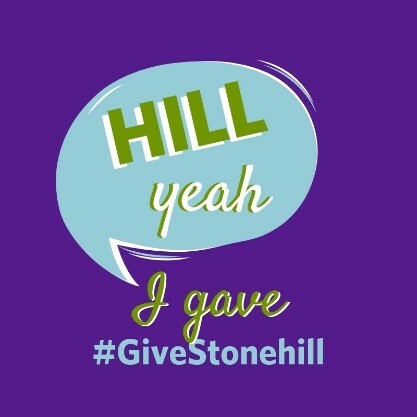 Use this image on social media to share that you #GiveStonehill. Thank you for your support of the College, your support truly does make a difference in the lives of Stonehill students. Class Agents are the designated ambassadors and fundraisers for their class. They represent the interests of both Stonehill and the Stonehill College Fund to their fellow classmates. Ken Michel '68 is the Stonehill College Fund Chair and helps lead and work with all Stonehill College Fund Volunteers and assists with fundraising efforts. For more information about becoming a Class Agent, contact Lisa Richards '99, director of the annual fund at lrichards@stonehill.edu. Reunion Volunteers make Stonehill College Reunion happen. The keys to a great Reunion are strong attendance and high participation in your class gift. These elements ensure a wonderful weekend for all who return to reconnect with classmates and with the College, and they allow each class to celebrate their time at Stonehill by paying it forward to today's students. For more information about serving as a Reunion Volunteer, contact Stacy King, assistant director of the annual fund at sking@stonehill.edu. GOLD Giving Volunteers are members of the most recent graduating classes who commit to make a personal gift to the College each year and to also encourage friends to support Stonehill. In appreciation of their commitment to Stonehill, GOLD Giving Volunteers receive special correspondence from the College and are invited to select Stonehill events throughout the year. Megan Keane '12 is the Chair of the GOLD Giving Volunteers and helps to lead and work closely with all GOLD Giving Volunteers. For more information about becoming at GOLD Giving Volunteer, contact Chanel Mazzone '16, development associate at cmazzone@stonehill.edu.